"The Most Custom Wedge in Golf!" 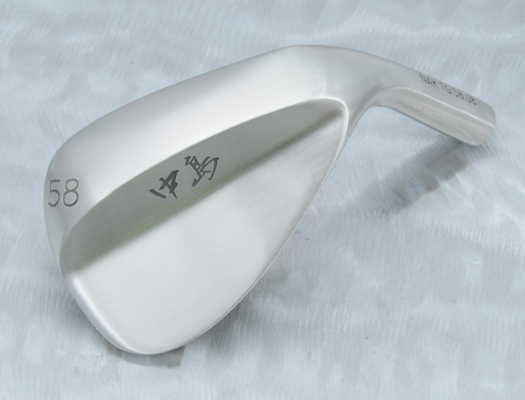 The Nakashima Golf Ninja Wedge line can be perfectly customized for any golfer and playing condition. The beautiful Satin Ninja is available in 10 Lofts and both Steel and Graphite Custom Shaft options! That's not all, we also Custom Grind, Custom Stamp and Custom Paint! Make sure your Wedges are perfectly matched for the playing condition. Soft Sand, Hard Sand, Heavy Rough, Tight Lies, each of these conditions needs a wedge with a specific loft, bounce and grind. Nakashima Golf understands how vitally important it is for all golfers to be properly fit with their wedges. All options need to be considered: Head Design, Loft, Lie, Shaft, Shaft Weight, Shaft Frequency, Length, Swing Weight, Gross Weight, Grip Style and Grip Size. Schedule a wedge fitting session at a Certified Nakashima Golf Studio near you and see the unbelievable difference it makes to play a perfectly matched set of Nakashima Wedges custom fit to your swing and playing conditions.